Bet365 Review - How Good Are They Really? Bet365 are our top rated online bookmaker. We’ve found them to be reliable, respond to support queries quickly and offer the best odds and most markets available. We’re confident they won’t disappoint and neither does their new player bonus. » Easy to use betting app. » Lots of banking options. Note: this is a personal review of Bet365 by author Dave Jackson. Cash Out – for a wide selection of markets across a variety of sports, Bet365 offered a cash out function to allow customers to take their money and run at any stage during a game or event. Partial cash out, where you can take some returns and leave the rest of your bet to stand was also available. Live Streaming – looking at the schedule I found Bet365 live stream thousands of events in a huge variety of sports for users of both their desktop and mobile sites. In order to watch live streams, all customers must have is a funded account, a bet on the event or to have placed a bet in the past 24 hours. Geo restrictions apply. In-Play Betting – I’m a big fan of the in-play betting section at Bet365 every time I’ve logged in I’ve found that section always includes a vast selection of events and markets from all over the world. In-Play Stats and Scores – when using the in-play section I also found that clicking into any event provided a great selection of live scoring and other stats – often presented visually – for the chosen event. Those stats and visuals typically included scoreboards, disciplinary stats and action areas. I found I was able to use the Bet365 on both my iPhone and Android devices – both mobile and tablet which is impressive. I managed to download the iOS version via the App Store and the Android version from the Bet365 site itself, I also tested things out on other devices and found I could access exactly the same service through my device’s web browser (I’m talking Windows and Blackberry here). In my opinion the Bet365 mobile app is arguably one of the very best around and unlike some competitors it offers essentially the same functionality and range of betting options as the desktop site. That means that things like in-play and live streaming are fully available on mobile devices and all main account services can also be accessed – it’s an allround excellent service. As anybody who has seen the company’s TV adverts will no doubt be aware, Bet365 are one of the world’s largest online betting companies with millions of customers all over the world. 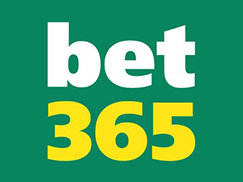 Considering that punters – like all other customers – tend to vote with their feet when it comes to the reputation of bookmakers, the fact that Bet365 does have so many users accurately reflects the excellent reputation of the firm with gamblers. I’ve read online that big winners can sometimes have their accounts limited by Bet365, but that is true of all bookmakers and in my experience this hasn’t been an issue. Bet365 rate highly in terms of safety and security in my book, both when it comes to protecting customer’s money and transactions and to helping those customer’s avoid other safety issues, whether external or self-inflicted. I checked and found their site was protected by an SSL certificate. These are put in place to encrypt all data to and from any website in order to protect sensitive information including personal details and credit or debit details. Obviously it’s pleasing to find this on any site where I’ll be handing over such info. What’s more, I found the site well equipped in helping users to gamble responsibly with plenty of info about what to do if you have a problem with gambling and where to go to get support. I also noticed a self exclusion feature was offered which is reassuing to see. The range of customer support available at Bet365 impressed me and you’d be hard pressed to find a method which doesn’t suit your needs. In the past I’ve used post, email and telephone support at Bet365 with quick response times but if I’m in a real hurry I’ll just hit up their 24/7 live chat support team to get a quick answer. That live chat option provides near instantaneous help but I’ve found the other methods are not slow either, I’m yet to wait more than 24 hours for a reponse to anything other than a postal request (for obvious reasons). You don’t get to be one of the world’s largest online bookmaker for no reason and Bet365’s excellent overall service for all types of gamblers certainly helps to explain how the firm has reached such heights. Both via the desktop and on mobile devices, the Bet365 service is easy to understand and use, and includes a great variety of excellent features. At times I’ve found the desktop version of the site a little clumsy but after a while you just get used to it. There’s definite room for improvement there though. The range of events they cover and spread odds for is highly impressive and I’m yet to want to bet on something that they haven’t got listed. I’ve seen people him them up on Twitter for specific odds on something when not on site so you’ve always got that option as well. Overall I’m impressed and wouldn’t hesitate to recommend their service. Why not check them out yourself? Even though this Bet365 review proves that they are an excellent online bookmaker, there are few area’s of improvement which are apparent. One very slight alteration which could benefit customers however, might be a tinkering with the functionality of the desktop site. Due to the fact that the site does currently run on Flash, there is the slight annoyance present that if you click the back button in your browser you get carted off back to the homepage instead of the previous page you were on. This can be easily avoided by the use of navigation within the Flash console so is not by any means a big issue, but to always navigate in that fashion can be easily forgotten and as such is a slight annoyance which could be quickly removed. Anything we haven’t covered in this review of Bet365 which you’d like to know more about? Then use our contact page to get in touch.